We all know that it is very important to get perfect winning products for your business. In this article we will talk about how to get numerous winning products in your Facebook newsfeed on the regular basis. There are lots of products advertisements on Facebook which get a lot of shares and views, keep record of those products. There are product ads which would only get few views and no one clicks on its product page. This kind of products can never be a winning product for your Dropshipping store. You need to make sure that your newsfeed is only flooded with some good winning products which are being scaled and have enough views. Use available spy tool to find such product ads and run that. Add the product in your cart. 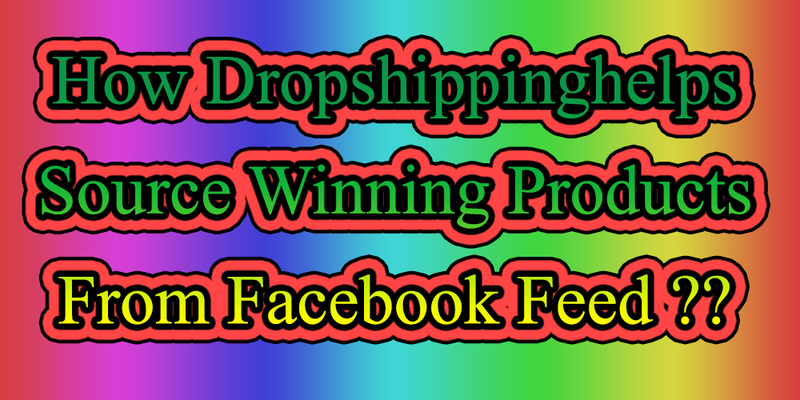 In this way you can show your interest in Dropshipping products to Facebook. This will help you in getting very good winning products for your Dropshipping store. If you keep on adding products in your cart and never really purchase them, Facebook is likely to bucket you in “add to cart” shopper list. You will be among lowest quality user who just clicks on add and never purchase any products. It’s not possible to buy Dropshipping products for you all the time but you can trick Facebook into thinking that you have actually bought the product and not just initiated the checkout. You can use the following trick to make Facebook feel that you have purchased the product.